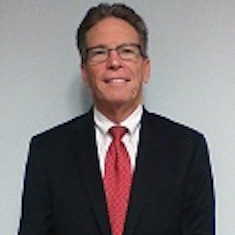 John V. O’Connor has more than thirty years experience in the financial services industry. Prior to establishing O’Connor Wealth Management, LLC, (OWM) John provided retirement and financial planning services for clients through independent brokerage firms. Through OWM, he has created a financial services firm to deliver unbiased, fee based (no commissions) advice to financial planning clients. John has worked with a variety of clients such as business owners, school employees, non-profit organizations and individuals who are serious about creating a plan as a guide for their financial future and that of their families. John feels that an educated client makes informed decisions and understands the thinking behind the creation of a financial plan. He regularly provides information about the issues and questions clients have through seminars, webinars and newsletters. He welcomes client questions and comments so he can continue to improve the services he provides his clients. John is a graduate of Loyola Marymount University with a degree in Business Administration and obtained his Juris Doctorate from Southwestern University School of Law. John also served as an Adjunct Professor, Finance Department, California State University, Fullerton.